Employees who are laid off, or terminated through no fault of their own may qualify for unemployment compensation. 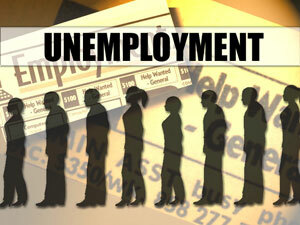 Unemployment benefits are administered by the Employment Security Commission (ESC). To receive unemployment benefits, a former employee must file a claim with the ESC, and meet eligibility requirements. To be eligible for benefits, you must be unemployed through no fault of your own, be able and available for work and be actively seeking work. You may be disqualified from receiving benefits if you were discharged from work due to work “misconduct,” such as use of alcohol or drugs, fighting, unauthorized absences without good cause or theft of company property. You may also be disqualified if you are terminated for a reason that does not constitute misconduct, but is considered a “substantial fault.” Substantial fault includes acts, over which you have reasonable control, that violate reasonable job requirements. You must go to your local ESC office to file a claim. To find out the location of your local office, look for the county office of the ESC in your phone book or go online to www.ncesc.com. After you file your claim, your employer will have an opportunity to respond to the claim, including explaining the reason for your discharge. If your employer contests the claim or if your claim raises eligibility issues, the claim will be reviewed by an adjudicator who will make a determination as to whether you have a valid claim. An appeal can be made from the adjudicator’s decision. Many employers will contest a filing for benefits because if the claim is awarded, the unemployment insurance costs to the employer may increase. Collins Law Firm has successfully represented employees seeking unemployment, at the initial stages, and through the appeals process. If you need assistance pursuing unemployment compensation, call us at 910-793-9000 to schedule a consultation. If you are summoned for jury duty, it is important that you comply with the requirements of the summons. Report to the bailiff of the proper court on the date and at the hour stated in your summons. In New Hanover County, there is a phone number listed on the summons to call to find out if you will be needed or not. If you are needed, there is a jury assembly room managed by the clerk’s office where jurors are to report, and the Jury Coordinator will give you further instructions. However, each county in North Carolina may have different procedures for reporting for jury duty. 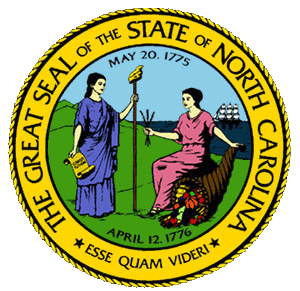 To be qualified to serve in North Carolina, a juror: (1) must be a citizen of the United States and of the state of North Carolina, (2) must be a resident of the county in which called to serve as a juror, (3) must be at least 18 years of age, (4) must be physically and mentally competent to serve, (5) must be able to hear and understand the English language, (6) must not have been convicted of or pled guilty to a felony unless citizenship has been restored according to law and (7) must not have served as a juror during the preceding two years. Many people would rather not have to serve as a juror, but it is an important duty we have as United States Citizens. Qualified persons age 72 or older may elect not to serve; otherwise, a person may be excused from jury duty on a particular occasion only after requesting to be excused because of special circumstances that may apply. No excuse is automatic and a judge will decide each request on its own merits and may defer jury service until a later date. If you have questions about your jury service, contact the clerk of court as soon as possible. In New Hanover County, we have a clerk in charge of the jury pool referred to the “Jury Clerk.” In some cases, it may be possible to defer one’s jury duty in advance. The summons should explain the procedure if it is possible in the county in which you are summoned to serve. 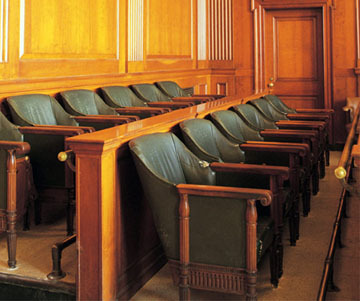 If you are called to serve on jury duty, there will likely be a lot of time spent just waiting. So you may want to bring a book to read, or something on which to quietly work while waiting. Historically, in relationships between landlords and tenants, landlords have all the power. However, the North Carolina Residential Rental Agreements Act provides specific rights for tenants and duties for landlords. One duty of the landlord is to keep the rental premises in a fit and habitable condition. 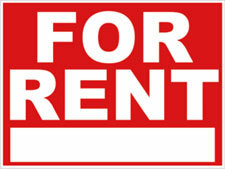 If the landlord fails to do so, the tenant can sue for mitigation, or to enforce the rights provided by the statutes. However, before doing so, the tenant must put the landlord on notice in writing of the breach for most types of necessary repairs. Security deposits are also controlled by statues. Landlords are required to keep security deposits in a escrow account with a bank and provide written notice of where the funds are being held within 30 days of occupancy of rental property (or obtain a bond). Further, upon termination of the lease, the landlord must refund the security deposit or provide a written accounting of how it was applied within 30 days of the termination of the lease. A willful failure to do so can result in the tenant getting the full security deposit back plus attorney fees. Landlords may not deduct damages for normal wear and tear from the security deposit, but what constitutes normal wear and tear would ultimately be up to the courts, if an agreement cannot be reached between the landlord and tenant. Collins Law Firm has represented both landlords and tenants in disputes about security deposits and other matters related to leases. If you are having a dispute regarding a lease, please call our office to schedule a consultation at 910-793-9000.